Watch our Fall Graduation here! 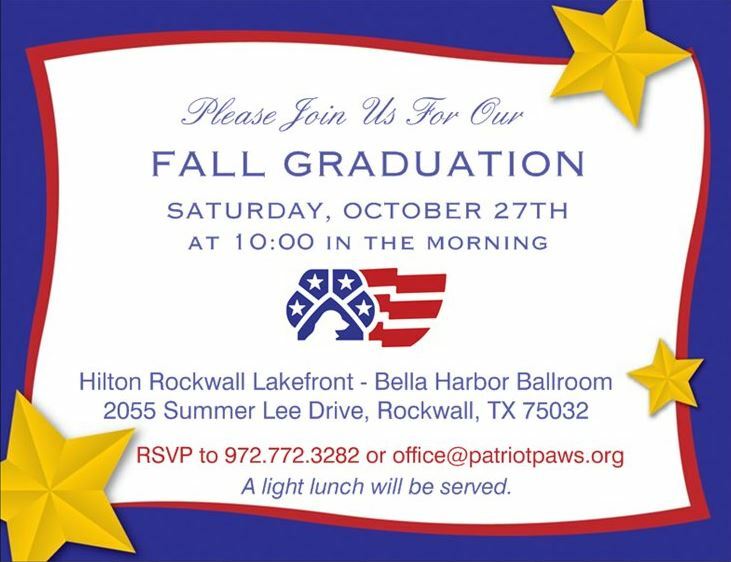 We are excited to announce our Fall Service Dog Graduation will be held at the Hilton Rockwall Lakefront-Bella Harbor Ballroom at 10 a.m. Saturday, October 27th. Hope you can all join us! 2018 COMBINED FEDERAL CAMPAIGN HAS BEGUN! We are excited to kick off the 2018 Combined Federal Campaign! Please take a look at our CFC Virtual Charity Fair submission. If you are a federal employee, you can support Patriot PAWS by searching for CFC Code #3571 HERE. 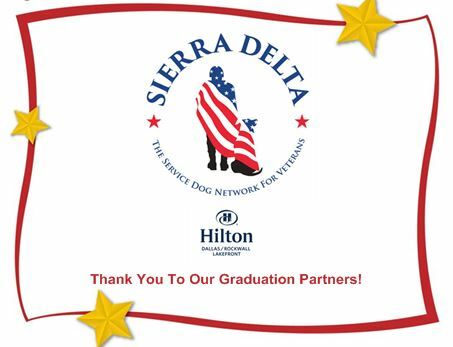 https://patriotpaws.org/wp-content/uploads/2017/04/PPSD-Logo-Color-300x109.jpg 0 0 Patriot Paws 1 https://patriotpaws.org/wp-content/uploads/2017/04/PPSD-Logo-Color-300x109.jpg Patriot Paws 12018-10-23 14:22:162018-10-23 14:27:222018 COMBINED FEDERAL CAMPAIGN HAS BEGUN!